According to sources at Badass Digest, the empty holes in peoples hearts and TV schedules left after Breaking Bad and Mad Men on AMC may get filled with gore and blasphemy. Some recent tweets by Seth Rogan also have been considered confirmation of his ties to the project. 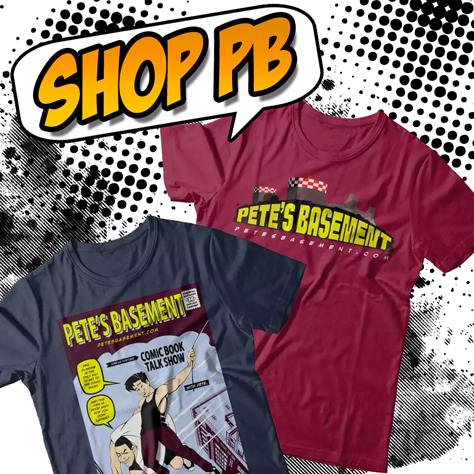 With the success of The Walking Dead as a live-action adaption , I'm sure the folks over at AMC were not against exploring other popular comic book properties. The fact that they have gone with Preacher is all shades of courageous and amazing. By taking on the disturbing title by Garth Ennis and Steve Dillon, AMC will be doing what no networks have had the balls to do to date. 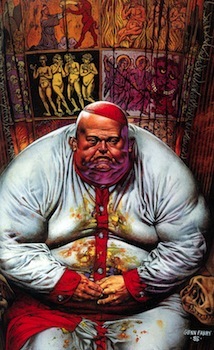 Turned down by HBO in 2008, who sweat like hookers in church at the idea, Preacher was deemed not only too violent, but too controversial for television. But like anyone who has read Preacher will probably tell you, if parents and religious groups aren't pounding down AMC's doors with death threats when the pilot hits, then they ain't doin' it right. Preacher touches on religious subjects with no subtlety, and presents stomach turning situations like it gives no crap. I want to see people outraged, and I want AMC to not give a rats arseface too. Preacher is about Texan preacher Jesse Custer, who is accidentally possessed by an infant spiritual creature named Genesis. Genesis being the product of an angel and a demon getting it on. Oops. Upon doing so, Jesse gains the power of "the word" of God which gives him the ability to make people obedient to his will. All he has to do is give the word. Needing to know answers and to find the God who was apparently sleeping on the job when Genesis was born, he buddies up with his gun-toting ex-girlfriend Tulip, and an Irish vampire named Cassidy to accompany him on his journey across America thats' filled with lots of terrible messed up stuff. 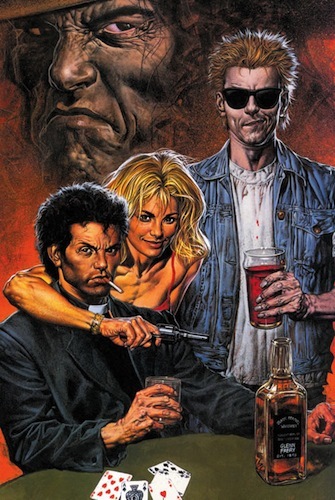 If you've always wanted to get into Preacher, now is also a good time to pick up the Preacher - Volume One TPB before people start charging rip-off prices as well.